There’s no getting around it: choosing where to stay in Osaka isn’t always easy. As the centrepiece of the second biggest metropolitan area in Japan, Osaka features an accommodations scene that’s anything but easy to navigate. Not only is the city spread far and wide (to the extreme! ), there’s an innumerable amount of choice, leaving first-time travellers guessing where all the best places to stay in Osaka might be hiding. In this guide, I’ve broken down all the best areas in Osaka for travellers—from the exciting streets of Namba and Umeda to beyond. For each neighbourhood, I detail some of reasons to stay along with a few recommended properties. At the end, I also include a list of the best hotels in Osaka organized by budget. Whether you’ve only carved out one day in Osaka or you’ve got a little some time to spare, it’s hard to recommend staying anywhere but the city centre. Wherever you find yourself within the central city, you’ll be face-to-face with all of Osaka’s top attractions, never witnessing dull moment during your stay (unless you want one, of course!). Let’s dig into each, shall we? 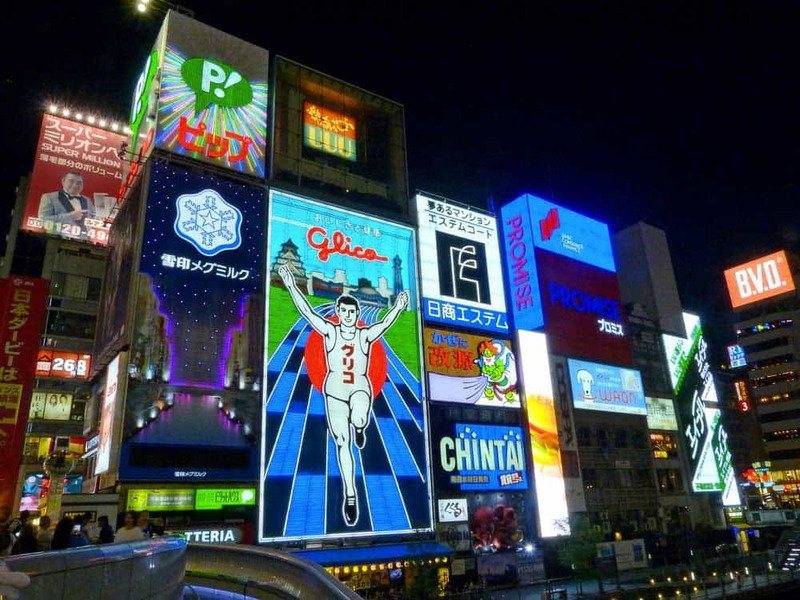 When dreaming of where to stay in Osaka, Dotonbori should shoot to the forefront. This buzzing area, lining the banks of the Dotonbori-gawa Canal, is everything you’d expect out of a modern Japanese city. The colourful neon lights and infectious energy is enough to wake even the sleepiest of wanderers out of their travel coma. Most of all, Dotonbori will win your heart through your stomach. Countless restaurants dot the banks of the canal, amid the bright lights, to fulfil every one of your Japanese food fantasies. Elsewhere in the Dotonbori area, more traditional cultural activities take centre-stage from performances at the National Bunraku Theatre to flashes of old Japan at Hozen-ji Yokocho & Hozen-ji Temple. Overall, Dotonbori is the perfect area to stay in Osaka for foodies and travellers who don’t enjoy sitting still. With all the entertainment and eating options at your fingertips, you can’t go wrong staying in Dotonbori! As Dotonbori is a relatively small area wedged between Namba and Shinsaibashi, the selection of accommodations here isn’t so extensive. You’ll find that most of the top choices for where to stay in Dotonbori lie within the budget and mid-range categories. For true 5-star luxury, you’ll need to look to other areas in the city such as Namba or Umeda. Hotel Sunroute Osaka Namba: A newer budget hotel that’s a 6- to 7-minute stroll to the heart of Dotonbori. Rooms are clean & “cozy” as the usual Japan standard would predict. A great option for a budget stay in a central area! APA Hotel Namba-Shinsaibashi: A delightfully modern 3-star hotel boasting a near perfect location for your stay. Dotonbori lies within a mere two-minute walk. 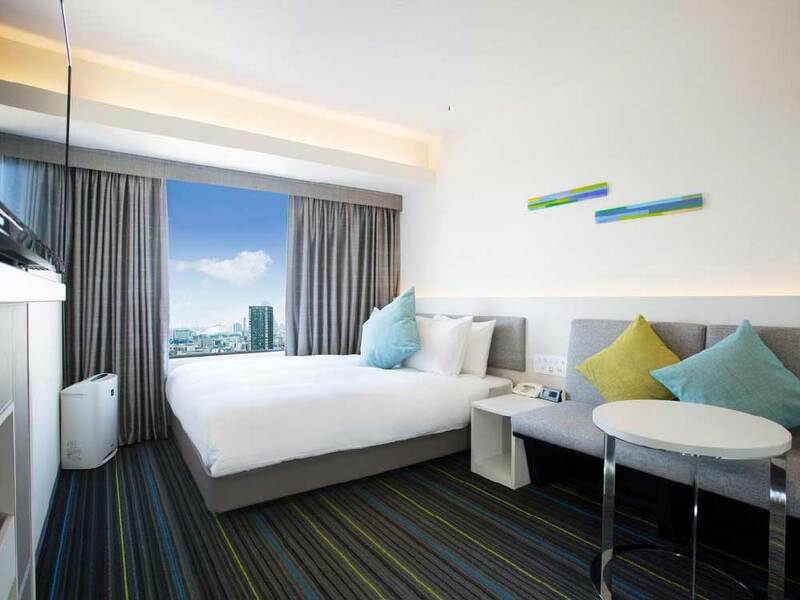 Holiday Inn Osaka Namba: A fantastic 4-star featuring colourful contemporary styles that are a touch above your usual chain hotel stay. The brilliant Kansai cuisine of the Dotonbori area teases your tastebuds just one-minute away by foot while Shinsaibashi-suji awaits just three minutes away to relieve you of all your yen on an epic shopping spree. Osaka’s answer to Tokyo’s Ginza area, Shinsaibashi is one of the city’s trendiest neighbourhoods, sprinkled with high-fashion boutiques and more excuses to dispense with your yen than anywhere else in the city. Like Dotonbori to the south, Shinsaibashi has drawn Osakans in since time immemorial. The area first grew in importance almost 400 years ago during the Edo Period when it was the merchant city’s most popular trading area. Between the arcaded Shinsaibashi-suji Shopping Street and Mido-suji, Shinsaibashi still brings in the dough, offering everything from the world’s top fashion brands to speciality items. In choosing to stay in western Shinsaibashi, the edgy America-mura (American Village) area counterpunches the brand-focused offering of the east. Sprinkled with second-hand stores & vintage record shops, this neighbourhood sets the pace for Osaka’s fringe youth culture. Overall, Shinsaibashi is the best choice for where to stay in Osaka for travellers who love shopping and trend-spotting. It’s also a fantastic area to eat with a ton of local Kansai favourites on offer. Like Dotonbori, much of the focus of when picking out where to stay in Shinsaibashi is on mid-range accommodations with very little availability in the budget and luxury categories. Sarasa Hotel Shinsaibashi: A squeaky-clean and modern hotel offering excellent value for a stay in a super central location. 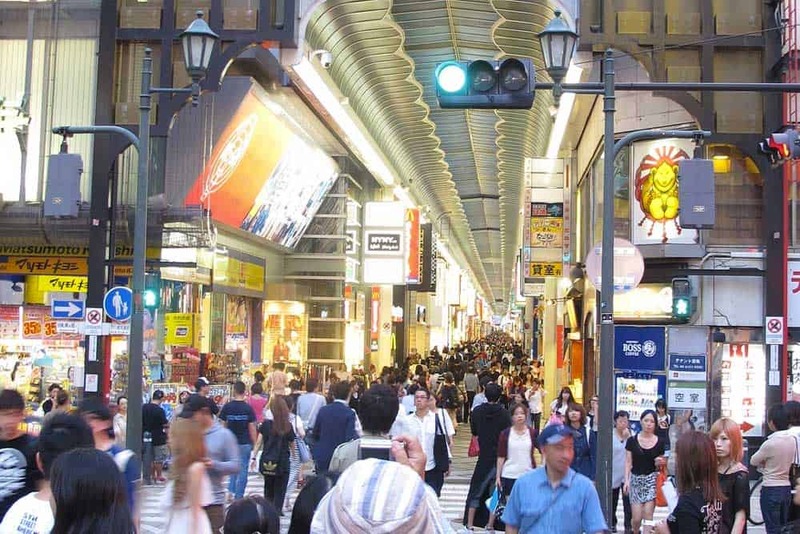 Shinsaibashi’s major shopping streets are about a 10-minute walk away. The Bridge Hotel Shinsaibashi: A stylish new 3-star hotel dead set on making your stay in Osaka as awesome as possible. Extras like free bike rentals & free pocket WiFi & smartphone rentals add some mega value to their already snazzy rooms. Karaksa Hotel Osaka Namba: A brand-new 4-star hotel decked out with bright, comfortable rooms for a relaxing stay. Both the Dotonbori area and Shinsaibashi-suji are equally close by foot. The epicentre of Osaka’s south (Minami), Namba is, along with Umeda/Kita in the north, one of the city’s two major centres. Namba, ringing around the major train station of the same name, dwells just south of Dotonbori and Shinsaibashi areas. ping malls, boutiques, and famous department stores. 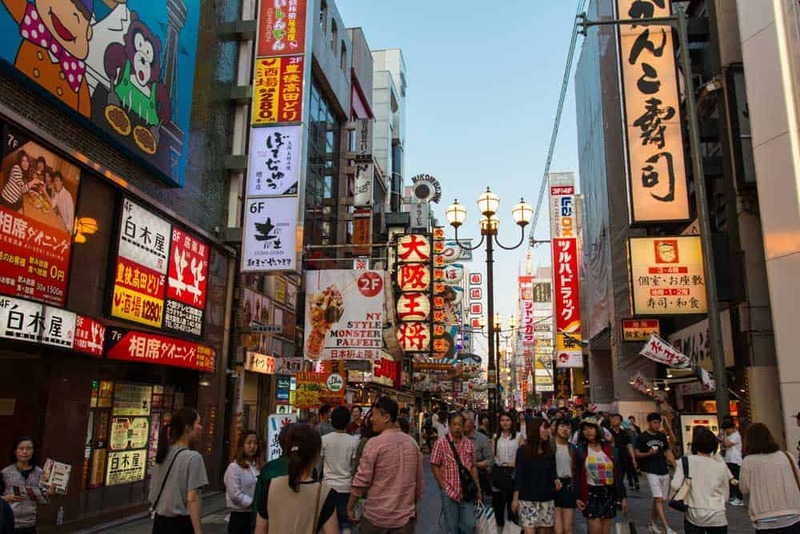 Overall, Namba is best area for travellers who love food & shopping and are looking for a wider selection of places to stay than both Dotonbori and Shinsaibashi offer. Compared to the smaller districts elsewhere in Minami, accommodations in Namba are more varied. Here, you’ll find an extensive selection of budget and mid-range hotels. Surprisingly, when you’re sorting out where to stay in Namba, you’ll might find the area a little short on high-end luxury (head up to Umeda for most of the top 5-star options). Kamon Hotel Namba: A sleek mid-range budget design hotel packed with a unique artistic flair and traditional Japanese twists that’ll add a little pizazz to your stay. If Kuromon Market, a mere block away, doesn’t get your mouth-watering, the brilliant on-site udon restaurant might. Red Roof Inn & Suites Osaka Namba Nipponbashi: A new 3-star hotel checking all the boxes with its clean, modern rooms, and fantastic location. The buzzing area of Dotonbori is a mere 10 minutes away by foot via Namba City while the nostalgia-inducing Shinsekai area will shock your senses with its wackiness after a short 15-minute walk south. Swissôtel Nankai Osaka: A luxurious 5-star set apart from the Minami crowd thanks to rooms decked out in colourful post-modern decor with spectacular views. The location above Namba Station is as perfect for your stay as its amenities, from the heated indoor pool & spa to the over half-a-dozen restaurants & bars on-site. If the southern comforts of Minami somehow fail to impress, head due north to Umeda, Osaka’s second city centre. Also referred to as Kita District (meaning “North”), Umeda sprawls around the transport hubs of Osaka Station and Umeda Station. Much of what you’ll find in Namba repeats itself when choosing where to stay in Umeda, from filling your shopping bags to stuffing your face kuidaore-style. Umeda’s also a top-notch entertainment area. Whether you’re looking to grab a fine whiskey at a hostess bar or embarrass yourself in front of new Osakan tomodachi (friends) at a karaoke bar, Umeda fits the bill. If you’re visiting Osaka during cherry blossom season, Kema Sakuranomiya Park and the Mint Museum in the eastern part of Kita are also among the loveliest places in the city to hanami. Overall, Umeda is the perfect area for travellers looking to stay close to good shopping, eating, and entertainment options while adding in a dash of luxury. With its two major transport hubs and nearby Yodoyabashi Station on the Keihan Main (running to Sanjo Station in Kyoto), Umeda’s also a great district for tackling some of the best day trips from Osaka. 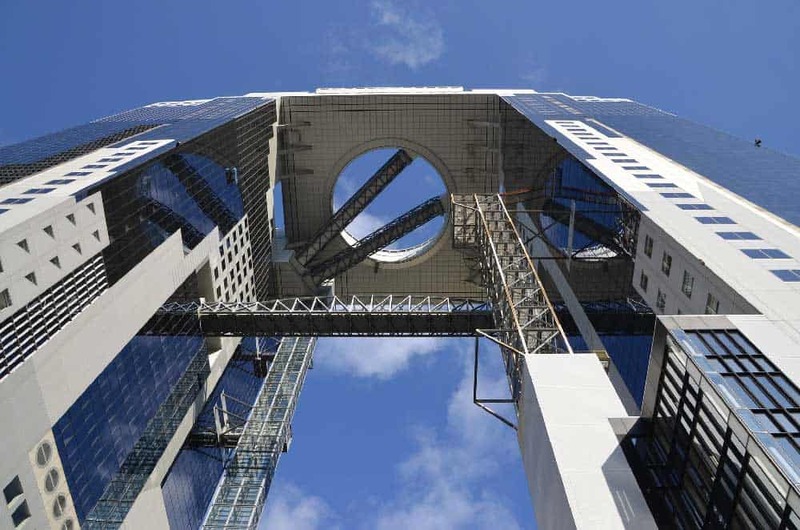 Attractions in Umeda (Kita): Umeda Sky Building, Osaka Museum of Housing and Living, Tenjimbashi-suji Shopping Street, Nakanoshima Park, National Museum of Art Osaka, Kitashinchi, Hep 5 Ferris Wheel, Mint Museum, Kema Sakuranomiya Park. There isn’t quite as large a selection when choosing where to stay in Umeda (Kita) as in the Namba area to the south. What you’ll find here, though, trumps all other areas in terms of luxury. Umeda’s home to a good chunk of the best 5-star hotels in Osaka. If you’re looking to splurge & indulge during your stay, this is the place to do it. Mitsui Garden Hotel Premier Osaka: A fantastic mid-range hotel that offers perhaps the best overall value when choosing where to stay in Kita. Although it’s a 15-minute walk from the centre of Umeda, the views overlooking the river and city are sure to win you over. Free shuttles to Osaka Station are offered. Hotel Granvia Osaka: A simple & elegant 4-star hotel perched above Osaka Station. Rooms are comfortable, even if a little snugger than the Umeda norm. Several on-site restaurants set up a myriad of food choices during your stay from Japanese and Chinese to French and Italian. Hilton Osaka Hotel: A superb hotel located just two minutes from Osaka Station featuring top-end amenities including a five on-site dining options, a well-equipped fitness centre, and a swimming pool. InterContinental Hotel Osaka: One of the absolute best hotels in Osaka! 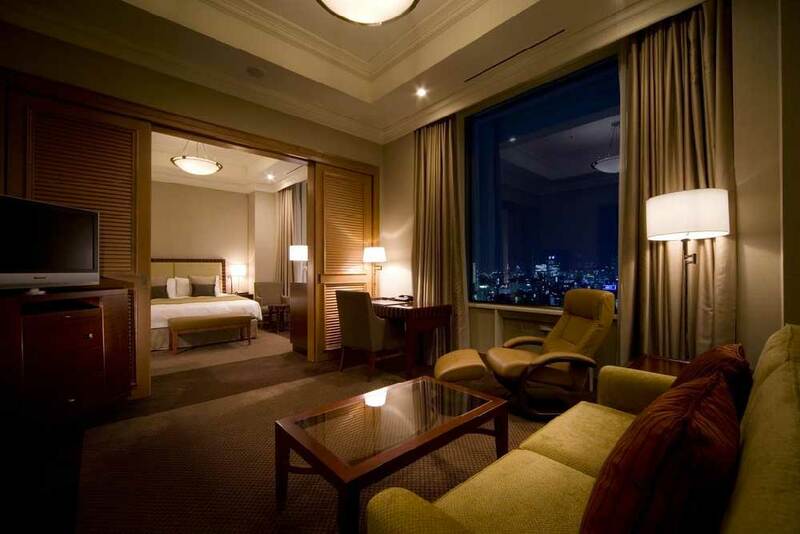 This luxurious 5-star hotel features spacious rooms spotlighted by large picture windows peering onto the Umeda skyline. Besides its convenient location close to JR Osaka Station, the InterContinental delights the tastebuds with 5 on-site restaurants including Pierre, serving up splendid French cuisine to 20th-floor city views. The Ritz-Carlton Osaka: Another top luxury pick, this 5-star stunner blends classic European elegance with Japanese splendor. The charming rooms are only half the story with the relaxing spa, indoor pool, and six on-site dining options taking centre stage. Nearby Osaka Station puts the entire city and region at your fingertips during your stay. Located between Shinsaibashi and Kita with Hommachi-dori as its spine, the narrow neighbourhood of Honmachi is a surprisingly chill place to stay considering what lies to both the north and south. Although it’s jammed firmly into the city centre, Honmachi feels worlds away from the never-ending buzz of neighbouring Namba and Umeda. In fact, other than sleep and eat, there isn’t much to do in the Honmachi area itself! For some travellers, this can, of course, be a good thing. In choosing where to stay in Honmachi, you’re still central and close to major subway lines with a fraction of the crowds. And even if the accommodation selection is a little tighter than in nearby Namba, what you’ll snag in Honmachi provides excellent value. Overall, Honmachi is an excellent area for travellers looking to stay in a quieter alternative to Namba or Umeda and want a better bang for their buck. With Osaka Castle Park only about 20 minutes away by foot, Honmachi is also a fantastic option in cherry blossom season. The search for where to stay in Honmachi isn’t always easy. Since it’s a smaller neighbourhood, there’s very little inventory in Honmachi compared to other sections of the city. Most top places to stay here fall within the budget to mid-range. For more selection, you’ll need to move further south towards Namba or north towards Umeda. Just expect to pay a little more. 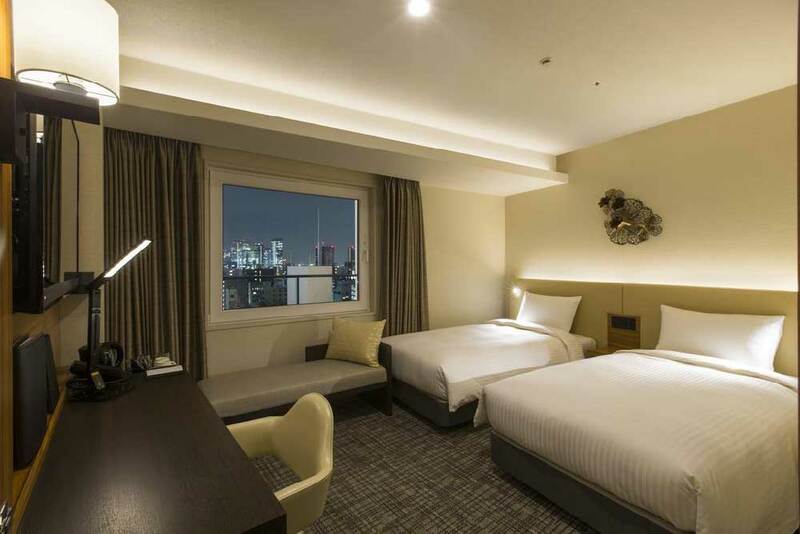 HOTEL MYSTAYS Midosuji Honmachi: A brand-new 3-star offering on the Honmachi scene with crisp, bright, and clean rooms. America-mura and Dotonbori are within walking distance while Hommachi and Sakaisuji Hommachi Station connect you to destinations further afoot. MOXY Osaka Honmachi by Marriott: Remarkable interior design separates this brilliant hotel from the budget/mid-range pack. Like all the brethren in its chain, the MOXY Osaka Honmachi invites trend-setters with its hip outlook. Extras like a walk-in rain shower help this 3-star punch well above its weight. St. Regis Osaka: The perfect Japanese 5-star experience, this top-notch luxury hotel hits it out-of-the-park with spacious elegant rooms and world-class amenities for your stay including the St. Regis’s signature personal butler service. From the 12th-floor skyline views at La Veduta and the rooftop Japanese garden oasis, every inch of this property is exquisite and splurge-worthy. Chillin’ out just east of Namba, the sprawling ward of Tennoji is a quiet alternative to the ruckus elsewhere in the city centre. Until recent years, Tennoji would hardly have been a option worth mentioning in the search for where to stay in the city. In many ways, Tennoji was an unwelcome throwback to a less prosperous era of Osaka’s history. These days, however, Tennoji’s on the up and up. Driven by the 2014 opening of Abeno Harukas, a 62-floor tower rising up 300 metres as Japan’s tallest building, the area has sprouted up a barrage of shops and restaurants, drawing Osakans away from their Namba & Umeda bubbles. Lest we forget to mention that one of the coolest attractions in the city, Shinsekai, lies on the fringes of Tennoji. This retro entertainment area thrives on the weird with a colourful carnival-like atmosphere that speaks to a bygone era. Simply walking around Shinsekai is an experience worth having—and that’s before letting its gastronomical delights hit the tip of your tongue. 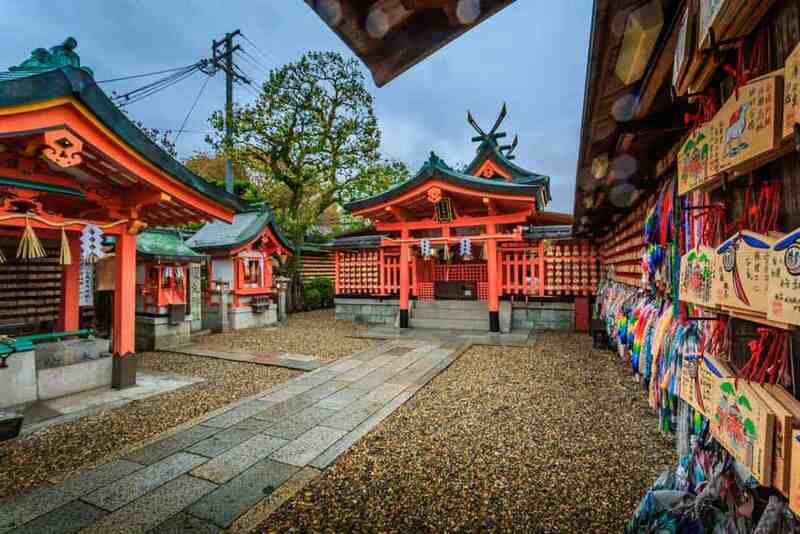 Overall, Tennoji is a great area for travellers undaunted of commuting for sightseeing and looking for a quieter & more budget-friendly stay. As a “fringe” district, Tennoji doesn’t have the same concentration of places to stay as neighbouring Namba or Naniwa. What you’ll uncover though when sorting out where to stay in Tennoji is often a better value that comes with sacrificing a central location. Everything from cheap hostels to luxury hotels can be found with Tennoji’s sweet spot swelling in the mid-range. Daiwa Roynet Hotel Osaka-Uehonmachi: A top-notch budget hotel from a trusted Japanese chain. Rooms are cozy & clean, and bigger than you’d expect for the price. Small extras like electronic bidet toilets and a location just minutes from Osaka-Uehonmachi Station add value to your stay. Hotel Trusty Osaka Abeno: A solid mid-range hotel featuring warmly-decorated rooms with a modern Japanese attitude. Besides the great location across the street from Tennoji Station, an on-site teppanyaki invites guests to spend a quiet night with its yummy Japanese delights. Sheraton Miyako Hotel Osaka: A classy 4-star hotel located next to Osaka-Uehonmachi Station. The bright & comfortable rooms are bigger than the Osakan mid-range would predict, loading up beautiful skyline views through its windows. Relaxing to a dip in the pool or a massage is the perfect way to unwind after a day of sightseeing. Osaka Marriott Miyako Hotel: The only 5-star hotel in Tennoji. Located on the upper floors of Abeno Harukas, the tallest building in Japan, this luxury property serves up incredible city views at every turn including a 360-degree panorama on the 58th-floor observation deck. Offers perhaps the best value among Osaka’s luxury hotels for your stay. Fed up with the trappings of the big city? Find your inner peace (kinda) at Osaka Bay. 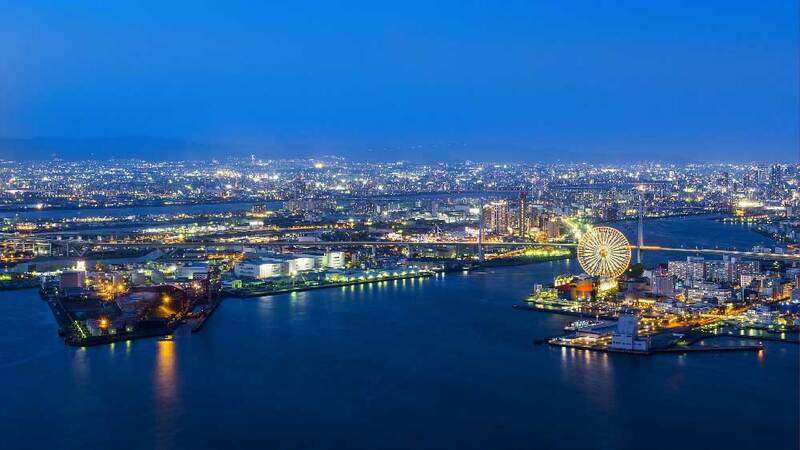 Although you’re still firmly within the city, the vibe around Osaka Bay is noticeably calmer, especially at night when the area’s several amusement parks shutter down. Overall, Osaka Bay is one of the best places to stay in Osaka for couples and families who are keen on trading centrality for less noise and better value accommodations. The 20- to 30-minute subway ride into central Osaka precludes enough visitors from staying here to drop prices in your favour. The quality you’ll get here for the price is unbeatable! As expected with its surrounding attractions, accommodations in Osaka Bay are among the most family-friendly places to stay in the city. There’s not a whole lot of selection in the area with much of the focus on the mid-range sector. What you’ll find, however, is that your yen will stretch further here. In choosing to stay in Osaka Bay, you can fetch 4-star rooms for 2-star prices. Not a bad deal at all! Quintessa Hotel Osaka Bay: An absolute top-notch 4-star hotel pushing forth crazy value in a country known for its insane accommodation prices. Rooms are spacious and draw you in with their warm & colourful decor. Ready to get a little wild? The hotel operates a free shuttle to scoot you to & from Universal Studios Japan during your stay. Hotel Keihan Universal City: A family-friendly mid-range hotel whose colourful carnivalesque motifs blend seamlessly with its ultra-fun neighbour. Not only is Universal Studios Japan next door, a short 2-minute walk away, you can avoid the dreaded ticket line-up by buying your tickets right at hotel reception. Hyatt Regency Osaka: The lone 5-star hotel in Osaka Bay that’s quite possibly the most value-laden luxury property in the city. Japan’s standard for tiny space gets shredded with the warmly-coloured spacious rooms here. To make up for its “out-there” location, the Hyatt Regency offers a twice hourly complimentary shuttle to Osaka Station in Umeda for your entire stay. Looking to explore Japan beyond Osaka? Staying in Shin-Osaka in the Yodogawa Ward might just be the answer. 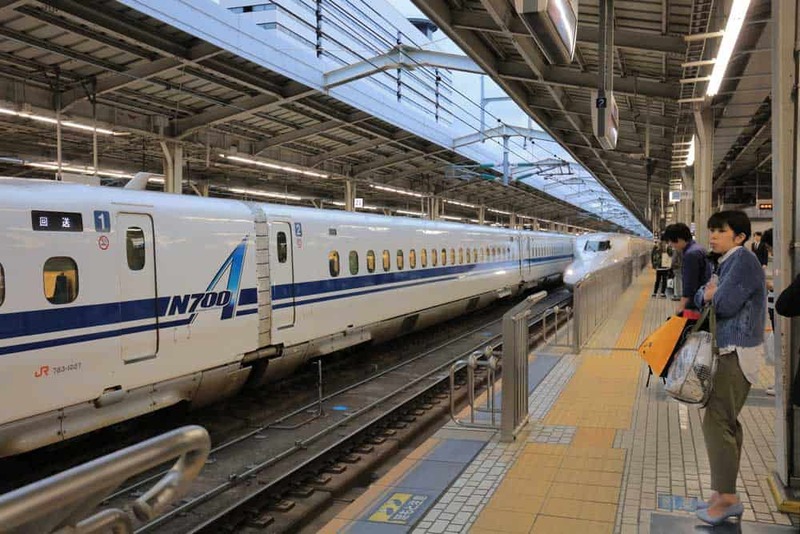 Home to Shin-Osaka Station, the city’s main shinkansen (bullet train) terminal, Shin-Osaka is the perfect location for travellers looking to take on some of the best day trips from Osaka or otherwise easily escape the city. Although there isn’t much to do in the area itself, Shin-Osaka is located on the Midosuji subway line and is just a 3 stops from Kita and 6 stops from Minami, making it a relatively convenient alternative. Depsite being a rather dull neighbourhood for sightseeing, Shin-Osaka has a great selection of hotels thanks to its shinkansen connections. You should have no problems finding decent accommodations in the budget and mid-range but will need to look elsewhere (like Kita & Umeda) for high-end luxury. hotel androoms Shin-Osaka: A brand-new hotel that is as value-laden as they come in Yodogawa Ward. Rooms here are modern and cozy, but the real treat is the property’s on-site onsen. Residential Hotel Hare Shin-Osaka: One of the top choices in the area, this hotel features clean, comfortable & larger-than-normal rooms for Japanese standards. The bullet train station is just 5-10 minutes away by foot. 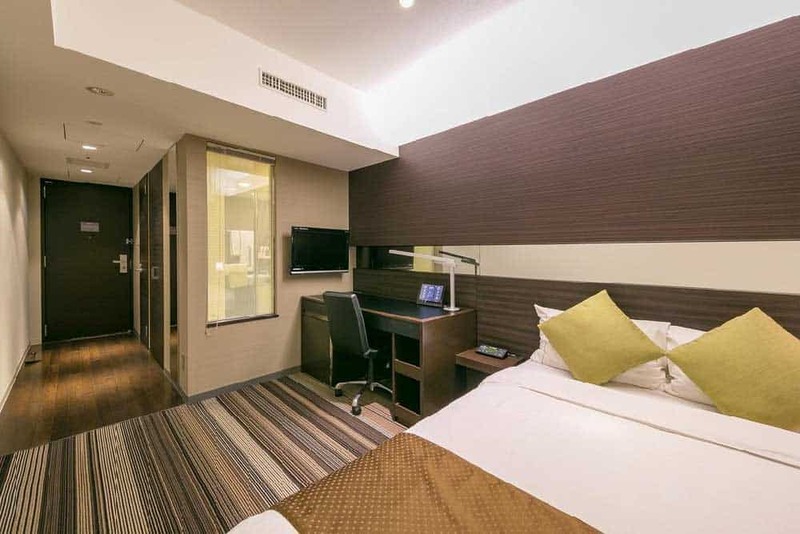 Courtyard by Marriott Shin-Osaka Station: Built adjacent to the shinkansen terminal, this excellent mid-range hotel is a top choice for day-trippers and anyone arriving late into the evening from elsewhere in Japan. Besides the lovely contemporary rooms, guests will love the food & the views from the 19th-floor teppanyaki restaurant. A small courtyard, warmed up with traditional Japanese twists, sets a soothing tone for your stay at the Kamon Hotel Namba. Even with Nippombashi Station a mere minute away by foot, this 2-star design hotel feels like an calm oasis in the midst of Osaka’s bustling Namba neighbourhood. 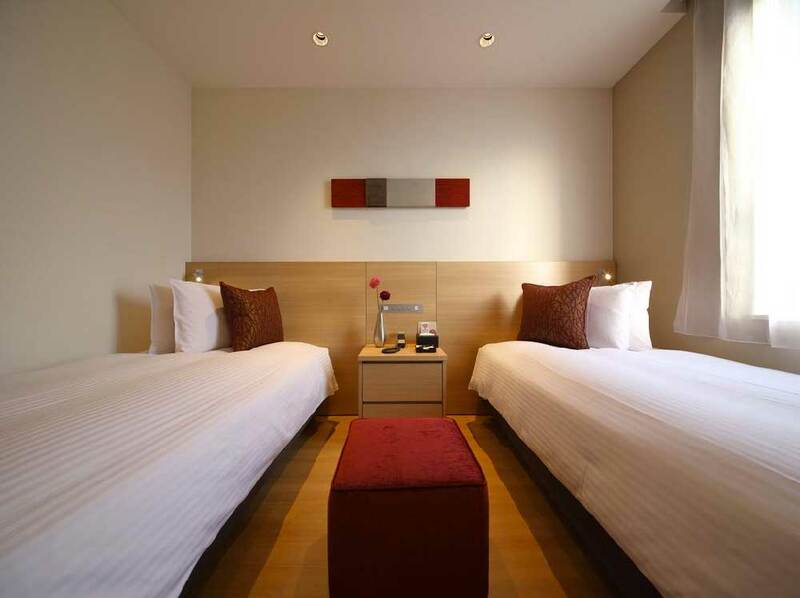 The twin rooms at Kamon Hotel Namba are budget-friendly, clean & comfortable, if a little snug. The artistic flair, however, is what gives this hotel an edge. From the guest rooms to reception, the design aesthetic is cheery and unique. During your stay at Kamon Hotel Namba don’t miss out on the on-site restaurant, serving slurpy-worth udon noodles. And if that doesn’t float your boat, the street food delights of Kuromon Ichiba Market are only a block away. 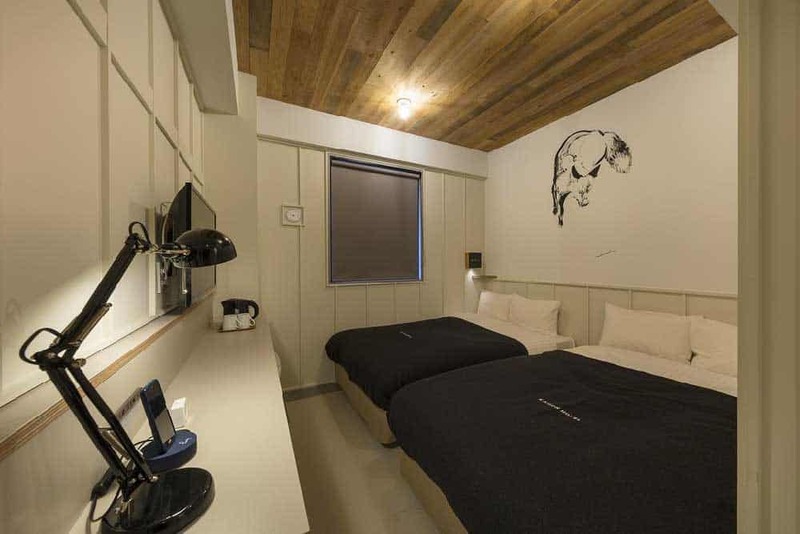 A young pup in the Osaka accommodations scene, HOTEL MYSTAYS Midosuji Honmachi parades its youth with a sparkly modern design that impresses from outside to in. Rooms here betray the usual tight Osakan standard, even throwing a rare soaker tub into all their rooms including their most budget-friendly offerings. The superb location in the quieter neighbourhood of Honmachi though is what really gives HOTEL MYSTAYS Midosuji Honmachi its wings. Within a 30-minute walk you’ll be able reach everything from Dotonbori and Shinsaibashi to Namba and Umeda. For destinations further afoot, two subway stations—Hommachi and Sakaisuji Hommachi—jump in for the win a short walk away. For travellers who can’t sit still, the buzzin’ location of Hotel Vertex Osaka is bound to kick your wayfaring adrenaline up a notch. One of the few worthy hotels amidst the carnivalesque nostalgia of Shinsekai, this newer 3-star rewards you with bigger-than-average rooms and simple modern elegance unexpected in the city’s budget market. Although you’re a little removed from the action of Namba or Umeda, Hotel Vertex Osaka proves that more central isn’t always better. Foodies will simply love walking out the door into the electric streets of Shinsekai where your tastebuds will hum to the flavour of some of the best street food in the city. To tackle Osaka attractions a little further afoot, several subway stations lie near Hotel Vertex including Tennoji Station, a pleasant 15-minute walk through Tennoji Park away. First appearances are deceiving especially when you step into the lovely Hotel Brighton City Osaka Kitahama. This delightful 3-star hotel struts with a luxurious and elegant gait that’s completely out of line with its budget-friendly price point. In fact, the prices of their sparkling clean and surprisingly spacious rooms run in line with cramped and far less desirable quarters elsewhere in the city. To up the value, Hotel Brighton City Osaka Kitahama throws down classy extras like air purifiers, soaker tubs, and rain shower heads. They even offer a massage service to help you unwind after a long day out on the town. Once you throw in its central, yet peaceful, location in the Kitahama area, you’d be hard pressed to find any hotel in its price range more worthy of your yen than Hotel Brighton. When you’re hammering out where to stay in Osaka, Namba locks down the front of the queue. 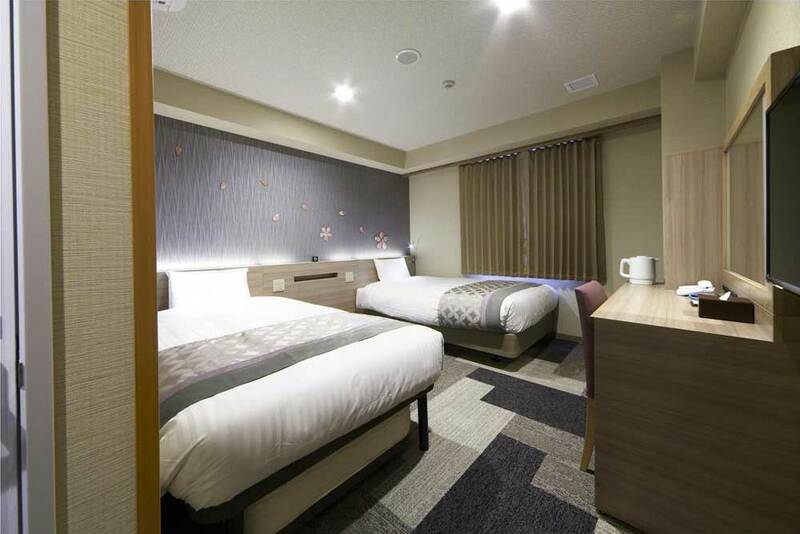 And among its best budget offerings is Red Roof Inn & Suites Osaka Namba Nipponbashi, a delightful 3-star hotel that opened to much fanfare in 2017. The Red Roof Inn & Suites Osaka Namba Nipponbashi dispenses with the frills in favour of an understated functional modern elegance. Rooms are clean & bright, featuring clean design lines and minimal decor for a relaxing feel. 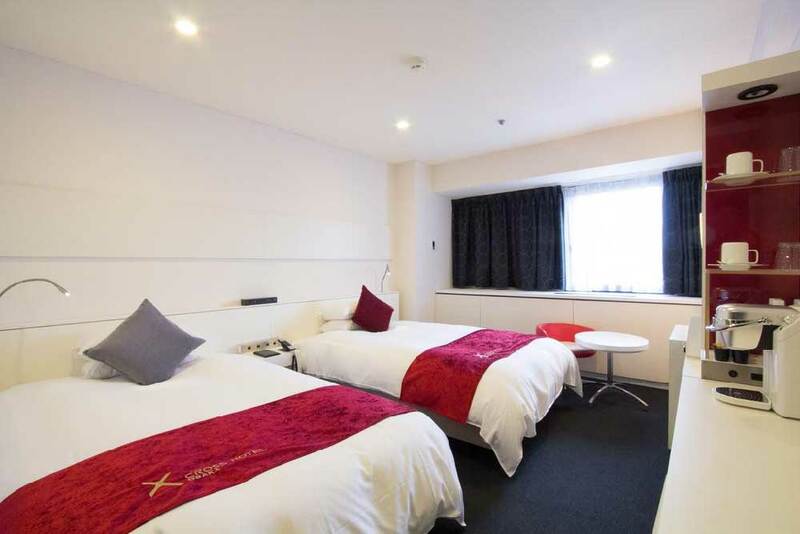 What’s best about Red Roof Inn & Suites Osaka Namba Nipponbashi though is the location. With less than 10 minutes separating you from the culinary delights of Dotonbori and the shop-til-you-drop attitude of Namba just 4 minutes away by foot, there’s no chance you’ll ever tired of the ever-humming world around you during your stay. Perhaps suffering from a slight misnomer, Premier Hotel CABIN Osaka is nowhere near as rustic or as cramped as the second part of its name would suggest. The first part, however, is dead on as a simple waltz into the lobby of this winsome 4-star hotel will quickly confirm. 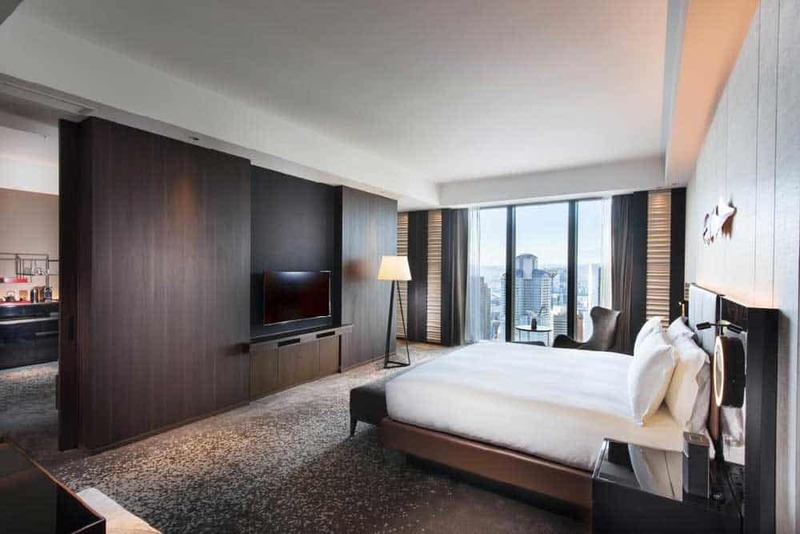 Less than a year old, the Premier Hotel CABIN Osaka lets its youthfulness shine through in its clean & quiet rooms that feature luxurious extras like soundproofing and electronic washlet toilets. The amenities are top-notch, too. Grabbing a quick morning bite at the on-site restaurant, serving up both Japanese- and Western-style items, is a fantastic way to get geared up for the day ahead. Besides the hotel itself, the Premier Hotel CABIN Osaka occupies a strategic location steps away from Minami-Morimachi Station. Even if you’re not keen on undertaking the 20-minute walk into central Namba, getting around the city is a cinch from here. Even without its amazing location a stone’s throw from the Dotonbori area, Cross Hotel Osaka would be worth mentioning as one of the city’s best hotels. A colourful post-modern façade invites you into a delightfully contemporary space with hip style lurking around every corner. 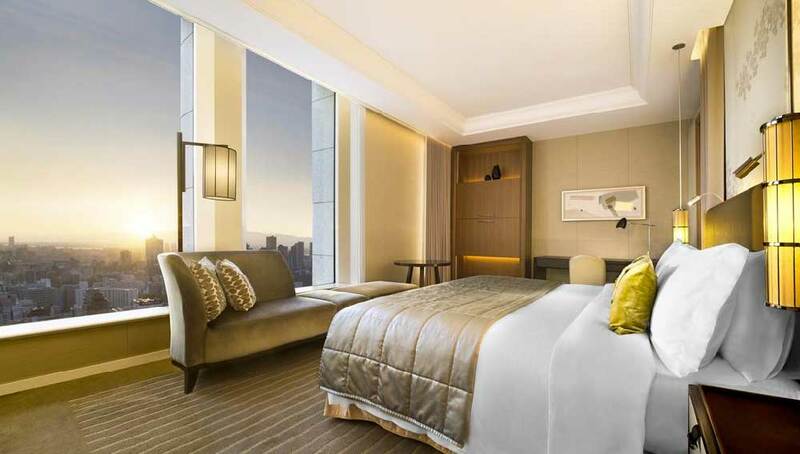 The spacious and well-appointed rooms are only part of what gives Cross Hotel Osaka its strong appeal. On-site hangouts oozing with cool keep guests entertained into the night, especially the trendy 3rd-floor Bar Seagull and Shinsaibashi Lime, one of Japan’s largest “aquarium” restaurants. For off-site fun, you’re also spoiled for choice. The central Minami location of Cross Hotel places both neon-splattered, food-crazy Dotonbori and the youthful America-mura within minutes. Unstoppable shoppers will likewise relish the chance to go broke along Mido-suji or Shinsaibashi-suji Shopping Street right outside the door. Among mid-range hotels in Osaka there’s little contest for Mitsui Garden Hotel Osaka Premier charging in as one of the best. After catching the eye of Michelin’s persnickety critics three years running, this top 4-star hotel doesn’t appear to be going anywhere anytime soon. The elegant rooms at Mitsui Garden Hotel Osaka Premier, more spacious than usual Japanese standards, delight guests with floaty beds and deep onsen-style soaker tubs that simply melt the stress away during your stay. To squeeze away any extra tension, in-room massages are also available. Depending on your outlook, the location of the Mitsui Garden Hotel Osaka Premier will be either a boon or a scratch against it. Dwelling on quiet Nakanoshima, a small island at the confluence of the Dojima and Tosabori Rivers, the hotel’s about 15 minutes removed from the buzz of Umeda. To combat the inconvenience, the Mitsui Garden Hotel Osaka Premier offers a free shuttle to & from Osaka Station. 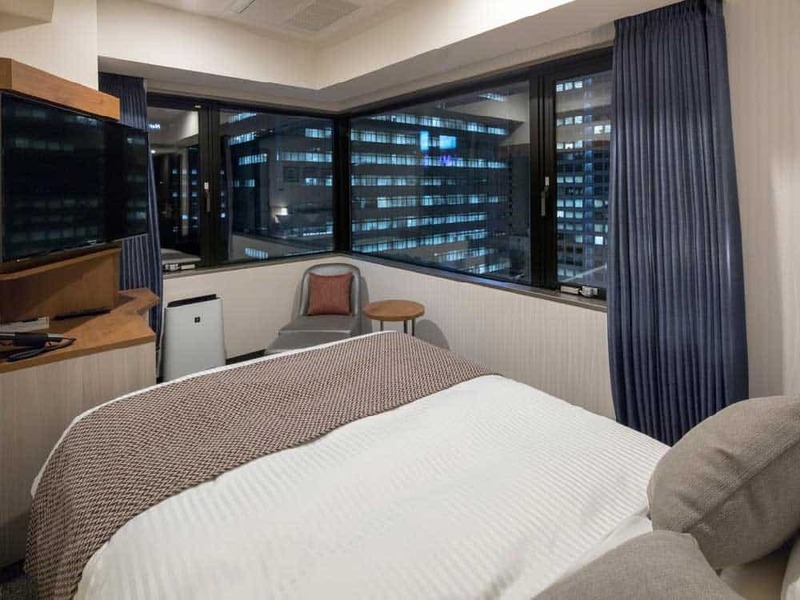 Straddling the grey area between budget and mid-range, The Bridge Hotel Shinsaibashi snags travellers’ attention with a super central location and contemporary outlook. Rooms are cozier than might be expected for such a new hotel, but a handful of unique extras keeps the value in check with others in the price range in the city centre. For travellers keen on exploring Osaka to its fullest, The Bridge Hotel Shinsaibashi doles out free pocket WiFi rentals and smartphones to go. Other surprises like free ramen & drinks (even some biiru!) from 10-11pm are sure to paint a grin on your face during your stay. There’s even a free bike rental to transport you even further afoot. Named after what is perhaps the nicest city in Japan, Hotel Nikko Osaka has got a lot to live up to. With one step into this palatial mid-range hotel though, you’ll immediately see that they’ve tackled the task admirably. Sitting firmly among the best 4-star hotels in Osaka, Hotel Nikko Osaka enchants with airy modern guest rooms fringed with contemporary & stylish furnishings and large picture windows. When your room’s big city views aren’t enough, sip cocktails to the high-risin’ panorama of the classy Sky Cruiser Lounge, hanging 100 metres above street-level on the 31st floor. Lest we forget the fantastic location. Hotel Nikko lies just 10 minutes from Dotonbori and a block from Shinsaibashi where you’ll find all the latest brands and some of the city’s yummiest Kansai cuisine. 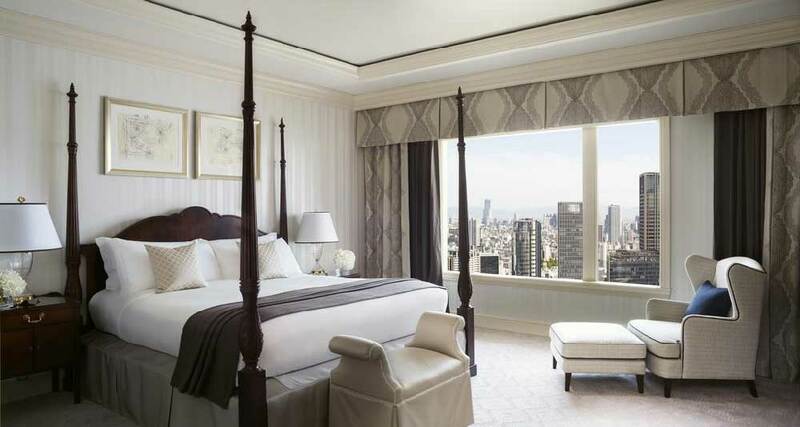 Of all the city’s best hotels, none beams with elegance as brightly the St. Regis Osaka. This exquisite 5-star hotel delights from the moment you enter the door with a sophisticated decor fused with modern Japanese sensibilities. Each room at St. Regis Osaka is meticulously detailed, tied together with bright yet cultured accents that draw you in instantly. As you enter, plush carpeting pads your feet, offering a subtle first clue as to how this luxury hotel homes in on your comfort. Luxurious sheets, woven with a 300-thread-count, invite you into a cloud-like bed where you can gaze upon Osaka’s skyline through tall picture windows. Or for an extra dash of relaxation during your stay, drift into the large soaker tub illuminated by the city lights. Aside from all the perks of the hotel itself, St. Regis Osaka goes the extra mile by providing you with one of their world-famous personal butlers, who can secure dinner reservations at the swankiest restaurants in town or score top seats at events for you. Got your eyes set on luxury while contemplating where to stay in Osaka? The InterContinental Osaka should be near the front of the line. This modern & elegant 5-star hotel checks all the boxes, snagging your attention at every moment from its spacious rooms to all its top-notch amenities and location. Besides dreaming the night away in your comfortable quarters, don’t miss out on Pierre, a contemporary on-site restaurant serving up delectable French cuisine to 20th-floor skyline views. If a city’s lucky enough to have a Ritz-Carlton, it’ll appear in the best luxury hotels list—without fail. So, truly, it’s surprise that The Ritz-Carlton Osaka made the cut here. With its convenient Umeda location, this brilliant 5-star hotel is perfectly situated to let the pleasures of Osaka easily unfold during your stay in this immensely interesting city. The design aesthetic at The Ritz-Carlton Osaka is a tad different than many of the city’s other top hotels. The spacious and elegant rooms push forward a traditional European vibe rather than modern Asian sensibilities. Regal blues & purples connect everything together and create a colourful & inviting atmosphere for your stay. Elsewhere at The Ritz-Carlton, you can melt your stresses away with a relaxing massage or a quick soaking in the spa’s hot tub. Six different dining options await on site including La Baie, the hotel’s Michelin-starred French restaurant, and Hanagatami, an inspired Japanese restaurant serving haute kaiseki cuisine with its own on-site sake sommelier. Peering out upon the Okawa River, Imperial Hotel Osaka is a delightful taste of pure grace and elegance in a quiet corner of Kita. The spacious rooms at this renowned 5-star hotel fuse together both classic and modern tangs for a refined look geared towards relaxation. Fine views over the Okawa, surging to their height during cherry blossom season, captivate even further. Outside of the chic guest rooms, Imperial Hotel Osaka pleases the tastebuds with six on-site restaurants. To get your French fix, pop into Les Saisons, famed for its romantic city views, or let divine Japanese beef overtake your palate at Kamon, the hotel’s classy teppanyaki grill. Through and through, there’s hardly a classier place in the city than the Conrad Osaka. This luxurious 5-star hotel flabbergasts with swoon-worth skyline views and a modern elegance unmatched among all the best places to stay in Osaka. At the heart of the Conrad experience are spacious rooms set with ultra-stylish avant-garde decor that makes an immediate impact. Couples will love getting drenched in the deep soaker tubs, set to romantic city views shining in through floor-to-ceiling windows. Flanked by panoramic skyline views and possessing a deeply warm ambiance, the heated indoor pool of Conrad Osaka is a step above the norm. For even deeper relaxation on your stay, don’t miss a visit to the on-site Conrad Spa where unique treatments like aromatherapy and a sake bath—yep, you heard right!—await. While Conrad Osaka is just two quick subway stops from Umeda, where the city’s gastronomical brilliance shines, the hotel’s several on-site restaurants and lounge provide ample excuses to stick close by. Set to a 40th-floor panorama, the European and Asian fusion of Atmos Dining is perfect for a small taste of home while the teppanyaki and sushi of KURA delivers a full Osakan food experience. Want to stay in an exciting neighbourhood without breaking the bank? 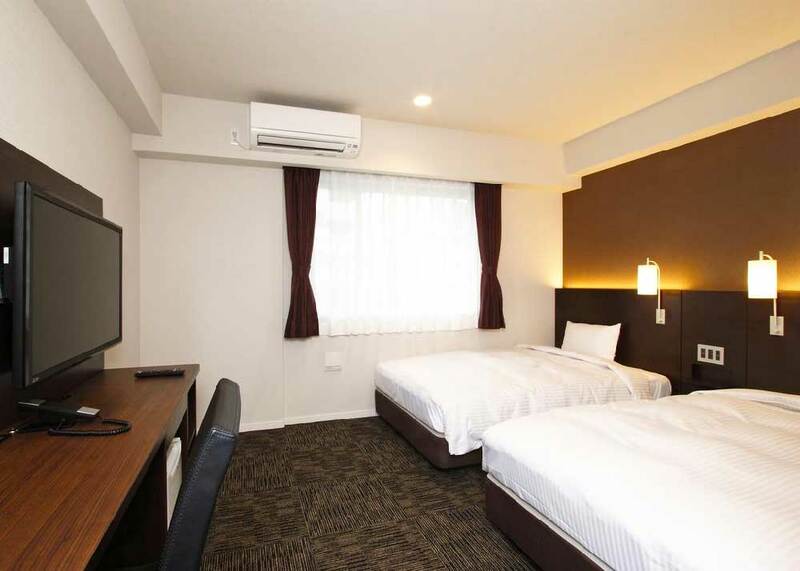 The modern rooms of the new Red Roof Inn & Suites Osaka Namba Nipponbashi are excellent value, especially considering its prime Namba location. Got a little more to spend on a mid-range hotel for your stay? The spacious modern rooms at the 4-star Mitsui Garden Hotel Osaka Premier, set on the quieter island of Nakanoshima, are among the best in the price range. For a mid-range hotel in a more energetic area, the glamorous Hotel Nikko Osaka is always bound to impress. 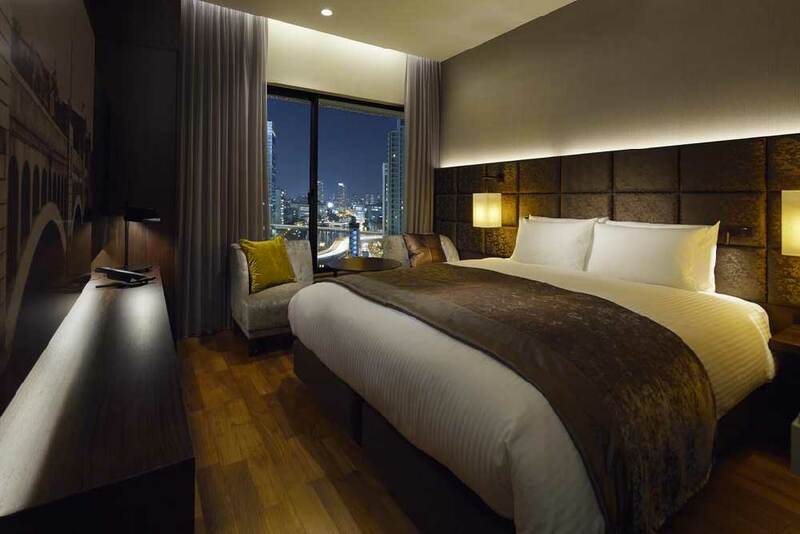 Craving the ultimate Osakan luxury stay? Battening down at the St. Regis Osaka—with its signature butler service and sophisticated guest rooms—is about as fantastic a luxury hotel experience as any in the world.